Welcome to Dolphin Villas in Eastern Gulf Shores, Alabama! Emerald Coast by Owner is proud to offer you a large variety of properties throughout the condominium complex. Our vacation rental condos are equipped with elegance and luxury to the extent that may make you never want to leave! When you do step foot out of the condo though, you definitely won't regret it. 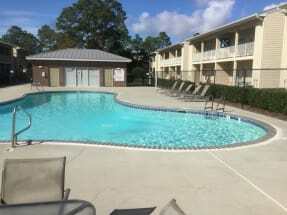 There's a large nice pool right outside the complex, and a beach with white sand and blue water just minutes away. If you want to make the most of the beach, we would highly recommend taking part in some of the most popular local activities we have to offer. Parasailing, deep sea fishing, golfing, paddle boarding, going on an awesome boat tour, there's plenty to do! Hungry for a meal Numerous great food spots throughout the area are happy to offer you their delicious seafood and great service. Some of these restaurants even give you an excellent view of the coast and it only gets better if you go when the sun sets. Stay at Dolphin Villas this year, it'll be a great time for everyone! Emerald Coast by Owner is pleased to bring you the best Vacation Rental Properties by Owner in Dolphin Villas and more! Browse our listings and book online today! When you book with Emerald Coast by Owner, we make it easy for you to choose where, when, and what you want to do on your trip. Contact us with any questions and be sure to book online today!